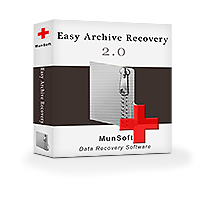 Easy Archive Recovery is the real panacea to the problem of corrupted and damaged archives. It recovers the broken structure, restoring data inside. It’s a complex solution for both ZIP and RAR archive recovery. Erased, deleted files, even those shift-deleted from the Recycle Bin can be recovered. 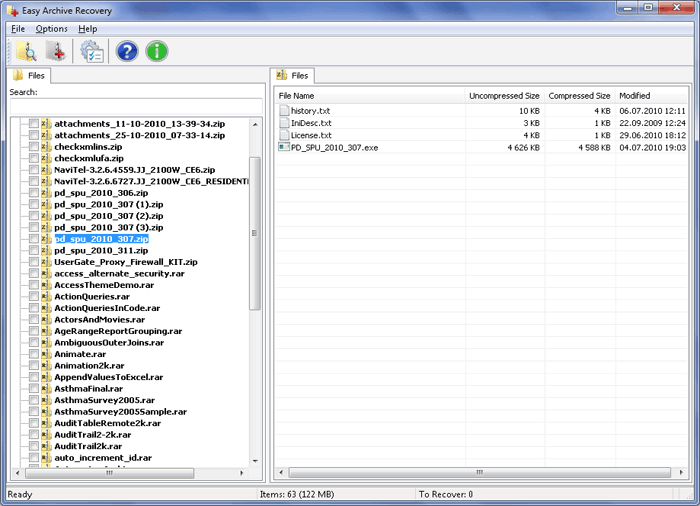 Most compression tools are supported, such as WinRar, 7-Zip, RAR and other. Self-extracting archives and large archives are supported as well. With Raw Search technology, the program finds and restores broken archives even on severely corrupted hard drives, memory cards or flash disks and recovers maximum possible data. The program was designed to be as user-friendly as possible that’s why there are no annoying elements and the design is quite simple. 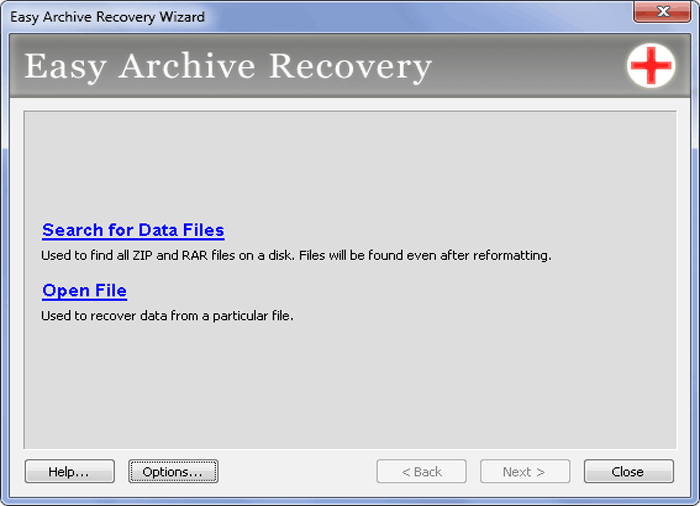 It has a Recovery Wizard built in as well as a preview tool that shows files before the recovery and tells a user if they can be restored. No knowledge is needed for archive recovery, just following the instructions on the screen is enough. The program requires about 10 MB of free space to be installed and recovers maximum data that can be recovered at all. Large hard drives are supported and the optimized search engine speeds up the recovery process as much as it can be sped up. The search goes through known signatures that allows recovering files that registered in the file system. If you want to repair archive, it’s possible even if your archives were not downloaded correctly, were located on formatted hard drive or were damaged by a virus or malware. The program works solely on Windows: Windows 2000, XP, Server 2003, Vista, Server 2008 и 7 and supports Unicode. supports Windows operating systems, such as 2000, XP, Server 2003, Vista, Server 2008, 7, 8, 10 and Server 2012.